Husky Liners Mud Guards - Removable Pivoting - Dezod Motorsports Inc - Home of the automotive performance enthusiast since 2002. 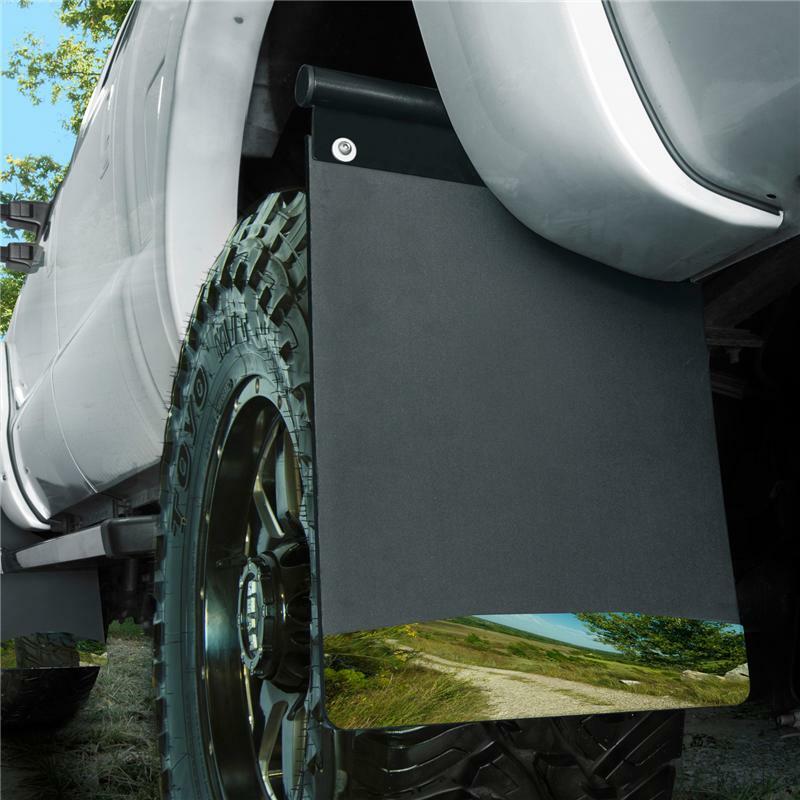 Whether on or off-road, you’re the boss of these mud flaps. Made from our durable AntiSpray™ material with 14 gauge laser-cut Stainless Steel anchor weights, our easy to install Mud Flaps allow you the option of adjusting their angle or even removing them all-together for extreme off-roading.